Last week we were incredibly proud to celebrate International Women’s Day with SharpFutures. The team based at the Sharp Project in Manchester used ZiMovi to capture and share their Vlogs and invited the ZiMovi girls over to take part in their event designed to inspire women in to the Creative, Digital, Tech and STEM sectors. 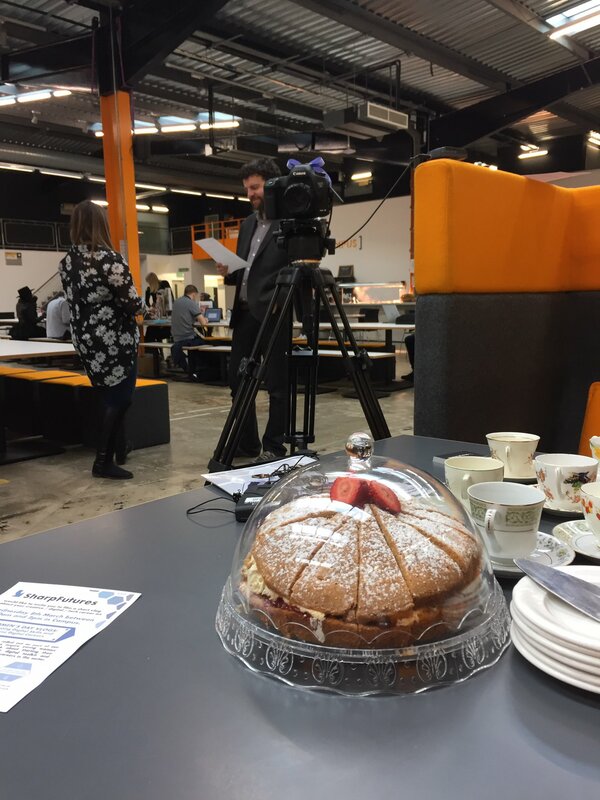 The ZiMovi team were welcomed at The Sharp Project by a great atmosphere and plenty of cake! Throughout the day they recorded their career stories and advice, celebrating with the People on Demand (POD) gang who worked incredibly hard to make the day a success. Their annual activity was this year based around amplifying the message online and across social media, using video as the ideal tool to capture a collection of inspiring messages from women (and men) in the sector. 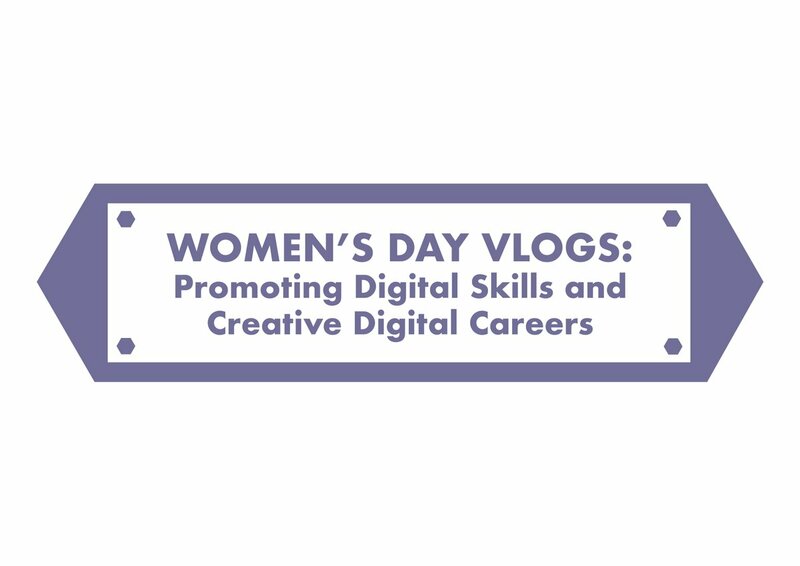 The Vlogs are being shared online across social media over the week to generate conversations and highlight the possibilities for women in the sector, inspiring careers and a desire for digital skills. There was a live Facebook video filmed at the event and the team were reacting to social media trends throughout the day. Lydia German, Social Media Apprentice has a keen eye on the social media landscape and reacted to spikes in trends to achieve the greatest impact from their posts. ZiMovi are delighted that SharpFutures chose Video Booth as the underpinning technology to capture and share this inspiring content. The tool gave them the ease of reaching out to individuals who could record their answers on their phone in their own time, capturing all the footage for the team to review and share. You can find out more about ZiMovi Video Booth here. The team also had a professional recording booth set up for participants who preferred to be filmed at the event. You can watch the Vlog on the SharpFutures ZiMovi channel. You can find out about the SharpFutures International Women’s Day Vlogs here. Follow them on Twitter @SharpFutures and keep up to date with their activity on social media. Follow these hashtags to find out more about the day and see the recorded Vlogs. #McrIWD17 and #StrongMcrWomen reaching out to women in the region, alongside the internationally trending hashtags #InternationalWomensDay2017 and #IWD17. It was announced on the day Rose Marley, CEO of SharpFutures has been listed in Manchester Evening Post’s 100 Inspirational Women from Greater Manchester, so another reason to celebrate on the day. You can read the article here. SharpFutures offers young people an opportunity to move from education into work, offering training, work placements and apprenticeships, many of which have progressed into employment opportunities. Find out more about SharpFutures here. For further information about International Women’s Day see the website here. A massive thank you and a huge well done to the everyone at SharpFutures for making the team so welcome and for letting us be a part of such a fantastic day!